The Global Mobile Advertising Market is valued at $15.33 billion in 2014 and is expected to grow at a CAGR of 26.40 % to reach $99.89 billion by 2022. Uptake in smart phones and tablets, as well as the fusion of consumer behaviors on computers and mobile devices are the major factors favoring the market whereas heavy investment in new methods and the security risks associated with use of personal devices are the restraining factors for this market. 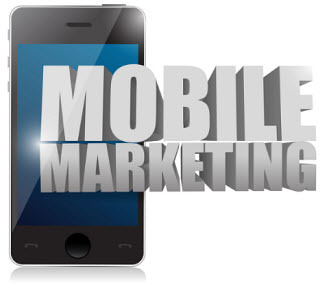 The Global Mobile Advertising Market is segmented on the basis of Solution, Application, End user, Services, Type of Advertising and Geography. On the basis of Solution, the market is categorized into Reporting and Analytics Solutions, Mobile Proximity Solutions, Integrated Solutions, Content Delivery Solutions, Advertisement Campaign Solutions. On the basis of End User,, the market is segmented into Small and Medium Business(SMB) and Large Scale Enterprises. The market is divided on the basis of Industry into Healthcare, Manufacturing, IT and Telecom, Automotive, Defence and Government, Transport and Logistics, Consumer goods and Retail, Banking and Insurance, Media and Entertainment, Energy, Power and Utilities and Others. 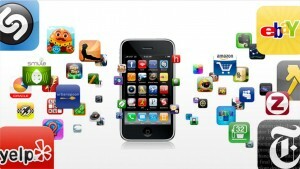 Global Mobile Advertising Market by Service is segmented into Consulting Services and Integration Services. On the basis of type of advertising, the market is segregated into Audio Advertising, In-App Advertising, Messaging Advertising, Mobile Digital Coupons Advertising, Search Advertising and Visual Advertising. Market is segmented on the basis of devices into smart phones, tablets, Desktops, Laptops, And Notebooks, Smart TVs and other devices. Global Mobile Advertising Market by geography is categorized into North America, Europe, Asia Pacific, and Rest of the World. The key players in Global Mobile Advertising Market are Apple, Facebook, Microsoft, Google, Nokia, Yahoo, Flurry, Drawbridge, InMobi, Amobee.